Do you often wake with a wet spot on your pillow or chapped lips? You could suffer from chronic drooling. 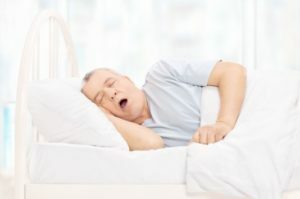 While everyone does it from time to time, such as when you are sick, if it occurs more often than not, it can be a leading source of embarrassment. Although it may cause you to feel insecure about your sleeping habits, it does not pose a risk to your health. To stop the excessive drooling, there are several things you can do at home. Your dentist in Brookfield has the tips you need. How Can My Dentist in Brookfield Help Me Stop Drooling? How often do you wake with a wet spot on your pillow? 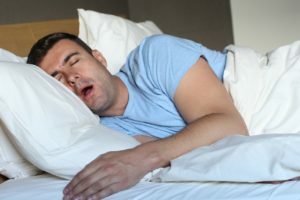 Drooling from time-to-time is normal for everyone, especially if you are sick; however, for others, it can occur more frequently. If you find yourself drooling often, there could be an underlying issue that is causing the problem. There is no need to feel embarrassed. Your dentist in Brookfield can help get to the root of the problem to give you the relief you need. Comments Off on How Can My Dentist in Brookfield Help Me Stop Drooling?